We're TOW-tally the wrecker service for all your towing needs! A stranded car is no laughing matter. Whether you need a tow or just some help getting your vehicle back on the road, Piedmont Towing can help. We provide reliable towing services and roadside assistance to Advance, NC and the surrounding areas, including the cities of Clemmons, Winston-Salem, and Lewisville. No matter what goes wrong with your vehicle, we're your solution to roadside problems! 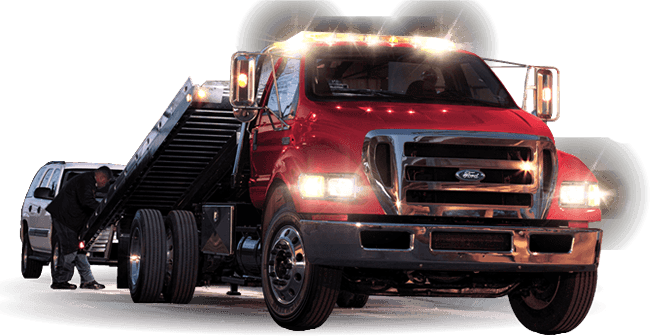 Our locally owned and operated towing company provides light to medium towing services for all kinds of vehicle and situations. Whether you just need a simple dolly tow or your vehicles requires the safety of a flatbed, Piedmont Towing is here. We offer a quick response, experienced drivers and competitive pricing. Every tow is insured. Motorcycle Towing and Transport – Piedmont Towing handles more than just cars. We also offer towing and transportation services for your motorcycle. Accident Scene Management – When you find yourself in an accident, we can help you get back on the road. 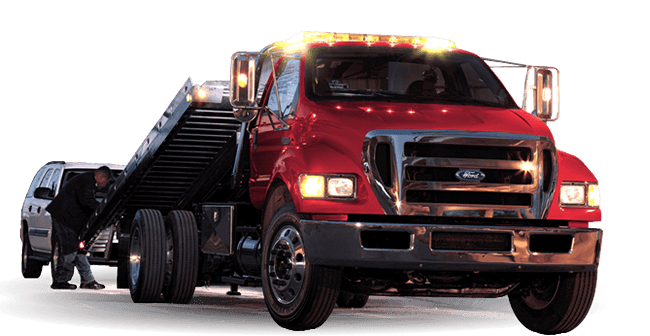 Our light to medium duty to trucks can take your vehicle to your favorite repair or body shop. We can even help remove totaled vehicles and give you money in exchange. If your car is located in a ditch or other dangerous place, our winch-out services will get it back on the pavement. Vehicle Transport – When you need a car or truck moved but can't drive it yourself, our fleet of trucks is here to get it to its destination safely. Lockout Help – Bad luck happens to everyone. It's easy to misplace your keys or discover that you've locked them into the car. This simple problem can be extremely frustrating, but there is hope. If you find yourself locked out of your vehicle, our experienced technicians can help. Our lockout service will help you open your doors and get going again. It's fast and stress-free! Battery Service – A dead battery is a major obstacle that can be hard to fix on your own. Whether you've accidentally left the lights on overnight or your experiencing a fault, our technicians can help. Our battery services will help you check your vehicle's electronic system to find the problems. We'll also replace your battery or provide a jump start to get you back on the road. Tire Changes - A slow leak, low pressure or a bad encounter with something sharp could bring your travel plans to a halt. Our mobile tire change services can bring them back into line, however. When it doesn't make sense to change a tire yourself, we're here to help. We can provide assistance with difficult lug nuts and inclement weather. We also check and adjust your spare tire pressure to its recommended level. Fuel Delivery – An inaccurate fuel gauge or a simple planning mistake could leave your car stranded and out of gas. Our fuel delivery service can save you from a long walk to the nearest service station or the need for a costly and inconvenient tow. We'll provide the right of fuel for your vehicle, from basic gas to high octane performance fuel. When things go wrong on the road, we can make them right again. Call Piedmont Towing at (336) 998 – 3000 or (866) 457 – 4825 when your car needs help. Copyright © 2017 Piedmont Towing. All Rights Reserved.